The Year of the French Overseas Territories, or in French "2011, année des Outre-mer", is almost halfway, but there are still some mayor events on the agenda. 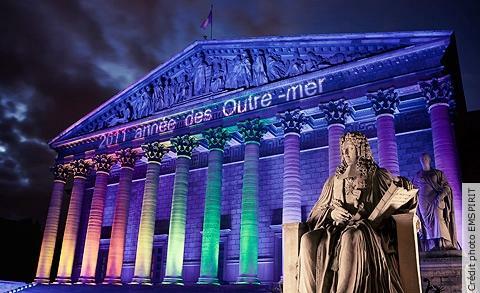 The Year of Overseas Territories is a celebration of France and its diversity. The focus is on the "identities" of the twelve overseas departments and collectivities in all areas: culture, institutions, education, environment, economy, tourism, fine art, etc. And an interesting documentary about the history of the Overseas Territories.